I am planning to go back to school and get a Master Degree in Public Policy. 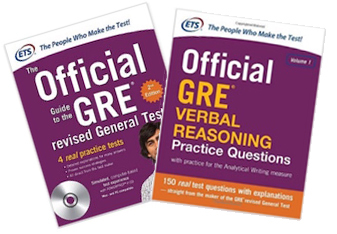 I needed to score in the 150 range on the Verbal Reasoning section of the GRE. I took the test 6 times before studying with David with my highest score of 143. I studied with David for 20 hours. He provided excellent sets of vocabulary and roots flashcards to help me with the TC and SE sections. For the RC section, we went through detailed strategies for each question type and David helped me work through problems to improve my time management and test taking skills. After two months, I was able to raise my Verbal Reasoning score to a 155. Thanks so much David! I am staring the process of applying to Public Health and Administration Master Degree programs in the US. I needed to achieve a minimum score of 155-160 for the schools that I am applying to. I studied with David for 20 hours. He gave me test techniques and specific question strategies for each of the sections within the Verbal Reason Section. Before studying with David I was scoring in the high 140s. After taking David’s course, I did practice tests for 1 month by myself and was able to increase my score to a 158. David helps you really focus on the key points necessary to improve your score. He is very supportive and understands how difficult it is to prepare for these tests and manage a family and a demanding job, as he has been in exactly the same situation himself. I would recommend his GRE teaching to anyone who is serious about improving their scores.